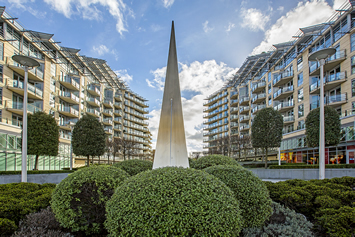 The Aspire Riverside team are focused solely on London's riverside developments. 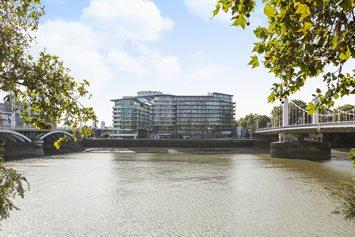 With many years' experience handling this type of property, they understand that living in a Riverside home goes beyond just buying or renting a flat, it's a lifestyle choice. 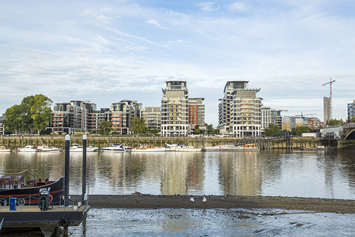 The team cover developments from Putney Bridge to London Bridge and and have a thorough understanding of the intricacies of riverside living. 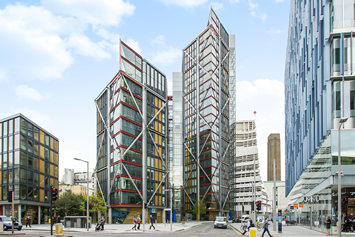 Riverside construction has really ramped up in recent years and iconic developments continue to pop up on an almost monthly basis. 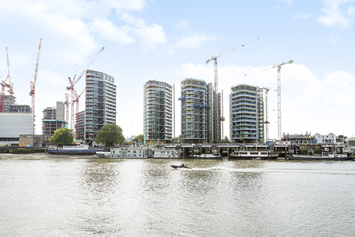 Battersea Reach at Wandsworth Bridge (under construction), Sir Norman Foster's Albion Riverside, Richard Rogers' Montevetro, Chelsea Bridge Wharf and Imperial wharf in Fulham to mention a few. 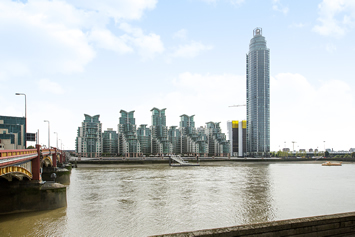 Other riverside regeneration spots are also emerging including SE1, Vauxhall's exciting Nine Elms area with developments such as Riverlight and Embassy Gardens and not forgetting the much debated Battersea Power Station. This is an exciting time for riverside living! 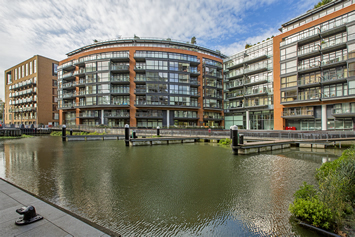 The site was formerly occupied by an early 20th-century flour mill, closed during the 1980s. Onsite Sainsbury Local, under-ground parking, children’s crèche and interior designer Staffan Tollgard. Spa with a treatment room, rain shower, Scandinavian style sauna and a steam room. The facility also has feature lighting and background music. Riverlight is a family of six pavilions, rising in height, all with a North-South orientation. Aspire was with us every step of the way. They may be small and busy, but their undivided and personal attention was such as to beguile us into believing that we were their only and best ever customer. I take my hat off to their team for their wise advice, good humour and speed of response to all eventualities. I really appreciate all the hard work you did and for helping us to secure our dream home. So far it has surpassed all expectations. You always reassured me and put up with my constant doubts about our buyer. I know that lack of sleep definitely made me more anxious about the whole process and the fact that you always responded to my emails and calls really helped. I have sold through a very large and well known estate agents before and found their impersonal way of working horrendous. I really wanted an agent who communicated and knew me and Aspire could not have done this better. We have just completed our sale with Aspire and are truly delighted with the results that the team have delivered for us. From the outset we were impressed by Mark’s intimate local knowledge which he leveraged effectively to provide us with a significantly better price than we anticipated. Throughout the sales process Mark has been proactive and incredibly understanding to our particular situation, which included a new born child. We have no hesitation in recommending the Aspire team to others. 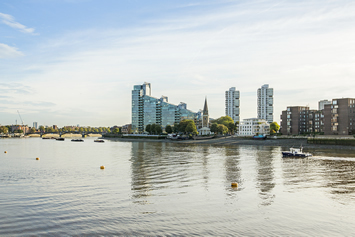 I have been looking for a property for about two years now over various areas - from Fulham, to Clapham and Battersea - and therefore have been in touch with many estate agents through that time. I was genuinely impressed by the great service I got from Aspire when viewing properties, in particular the honest answers that you and Mark gave to our questions, and the excellent knowledge you both had regarding the ins and outs of the property and also the local area. This was such a refreshing change to the (somewhat stereotypical) euphemisms, stretching of truth and general lack of local knowledge that I experienced with other agencies. We have just completed the sale of our house with Aspire and are truly delighted with the results that the team have delivered for us. From the outset we were impressed by Mark’s intimate local knowledge which he leveraged effectively to provide us with a significantly better price for the house than we anticipated. Throughout the sales process both Mark and Russell have been proactive and incredibly understanding to our particular situation, which included a new born child. As the deal neared completion we were particularly appreciative of Russell’s wise counsel that enabled to the process to remain on track which culminated in a rapid, cash completion. 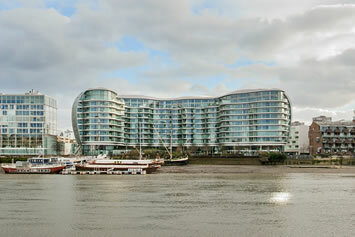 We have no hesitation in recommending the Aspire Battersea team to others. Thank you for being wonderful during the whole process, helping out and being constantly on hand. Couldn't have done it without you! Thank you also for the beautiful flowers, biscuits and tea. Made us feel very welcome.